Steve asks: Can you explain the Mandela effect, and why it happens? Kyle - I have to admit I was not familiar with this effect until earlier this week so I’m certainly not an expert of the Mandela effect. The idea behind the Mandela effect is that people share memories that are incorrect, and yet, many people may have the same kind of memories. So the name Mandela effect comes from an individual who was a paranormal enthusiast, apparently, and she had a memory of seeing of the death of Mandela in the 1980s, seeing news bulletins on this and yet, of course, that did not occur; he died much later and not while he was in prison. So this individual noticed that other people had a similar kind of memory and so she became interested in why that might be. And she actually had some very interesting but implausible theories, I think, about the fact that there are, potentially, alternate dimensions or universes, and that people are moving through these and that means that they have these false memories which, actually, may be true. Martin - Humphrey Bogart, whenever I was growing up, whenever impressionists used to do an impression of him or people used to refer to Humphrey Bogart they would always reference the phrase “Play it again, Sam.” from Casablanca. There is just one problem; he never said it. In Casablanca, Ingrid Bergman says “Play it Sam,” to the jazz singer Dooley Wilson as he plays As Time Goes By. At no point does anyone say “Play it again, Sam.” This, despite the fact that it was the phrase that perhaps Humphrey Bogart carried around for the rest of his career. Chris - Also on Facebook, Matt Cochran points out that in Laurel and Hardy movies people claim that Laurel says “That’s another fine mess you’ve got me into.” He actually said “It’s another nice mess,” allegedly. But why does it happen, Kyle? Why do we think people make these memories and then they propagate everywhere? Kyle - One of the reasons is simply misquoting; we know in academia that happens a lot. People misquote once and then that quote gets carried on repeated again and again. And so that is what’s being remembered, it’s not the actual situation. If you look at the examples, it’s interesting that a lot of them have to do with language and so I think one of the primary things that is happening is just aspects to do with memory. The brain is trying to save time, it’s got lots of shortcuts and we’re trying to remember long words, long quotes. Particularly something we saw in an instant and it’s gone and we’re occupied with everything else that’s happening in the movie then the brain stores it as quickly and efficiently as it can, but sometimes it gets it wrong. Chris - Anyone else had any experience of this - Stuart? Stuart - Well I was wondering because I was talking to my mum over the holidays and I can’t remember exactly what it was but I was saying “Do you remember that time my younger brother did that thing that was really naughty at that party, or something?” And she said to me “No, that was you!” And so I wonder, in that case, maybe my brain was trying to get rid of some of that guilt that I had or something in my system. Chris - What was this, you started the show saying that you’re blameless, no claims bonus, positive, all this kind of thing. And it sounds actually like, you’re also a liar. I’m just kidding. Kyle, what do you think? Kyle - I think that kind of situation is very common. For one thing memories from childhood, there are lots of things that happened since then, so they’re going to get adjusted. You may have heard lots of stories and, in those stories, you reform and reshape that memory. 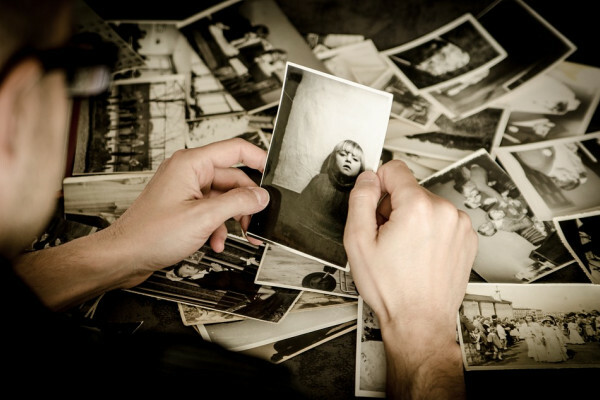 So we know that from images, some people have these very vivid memories and yet, actually, it’s entirely formed from just having seen a particular photograph of themselves. I have a similar experience. I have an identical twin sister; her favour colour is green, my favourite colour is red. So every childhood image we have we assumed I’m the one wearing red, she's the one wearing green. Apparently, according to my mother this not the case. Now either I’m remembering it incorrectly or potentially my mother is remembering it incorrectly, which also may often be the case. Previous Does giving blood make you lose weight? Next What would happen to a thimble full of a neutron star if you brought it to Earth? How does my computer work? Can animals recognise each other, and us?